or, an USB OTG flash drive (price depending on the capacity. It is slightly more expensive than normal USB thumb drives with similar capacity.). Such drives usually have two USB interfaces. One large female interface allows it to be used as normal USB thumb drive on PCs and laptops. The male micro USB interface (OTG micro plug) allows you to insert the drive to Moto G directly. So, if you want to use your existing thumb drives or portable disk, you can invest a few dollars to get a OTG adapter. The adapter can also be used for other USB devices. If you are considering to get a new thumb drive, it is time to consider an USB OTG flash drive. It will be slightly expensive than normal thumb drive with similar capacity. But you can use it on both phones and PCs without any adapters. How to use Moto G USB OTG storage? 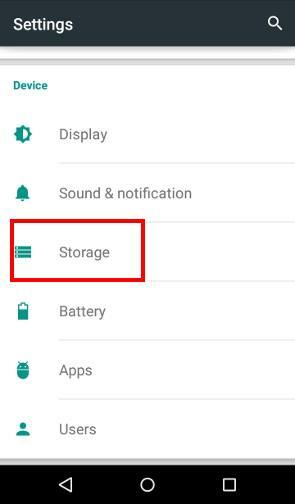 Once you connect the USB OTG flash drive, or a normal flash drive through USB OTG adapter, to Moto G, you can find it in Settings— Storage as shown below. As shown in the screenshot, the USB OTG storage should be shown under USB disk. In this case, a 64GB storage was successfully mounted and is ready for use on Moto G.
Once the USB OTG storage is mounted, you can use it just like a SD card. You can copy files from or to it. Also, all media files in the USB OTG storage will be scanned automatically. So, you can access them directly from most apps. If you want to play with individual files on the storage, you need a file manager. In this guide, for example, you want to locate a file and play it. You can use any file manager apps, e.g. ES File explorer. In ES File explorer app, you need navigate to the root of the partition by tapping the “/” as shown below. Now tap storage as shown below. In /storage, you can find usbdisk folder. This is the USB OTG storage you mounted. 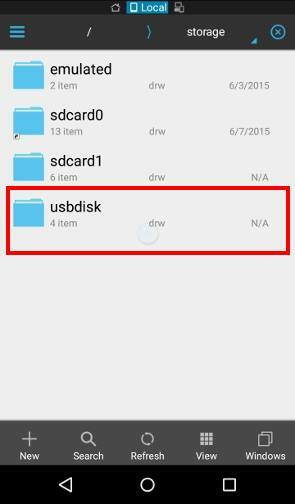 Tap usbdisk as shown below to browse it. Now, you can find all files and folders in this thumb drive. You can copy them to internal storage. You can also copy files from internal storage to this folder. You can also play the music file on this drive directly without copying it to the phone as shown below. Important!! You must unmount the USB OTG storage before you remove it from Moot G! 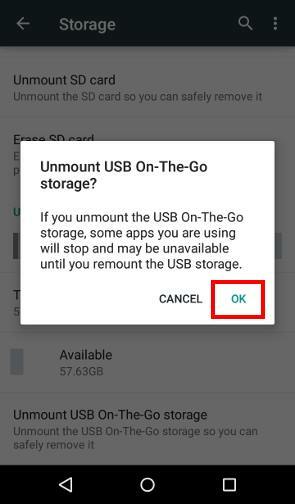 After using USB storage, you should unmount it before unplug it from Moto G.
To unmount Moto G USB OTG storage, you need go to Settings—Storage. As shown earlier, you need tap Unmount USB On-The-Go storage. If you unmount the USB On-The-Go storage, some apps you are using will stop and may be unavailable until you remount the USB storage. Tap OK as shown above to unmount the storage. If you unplug the storage without unmounting it, you may damage the thumb drive and lose all data on it. Can I use USB OTG on Moto E? No, Moto E does not support USB OTG. However, Moto E 2nd Gen (Moto E 2015) supports USB OTG. Can I use USB OTG on Moto X, including Moto X 2nd gen? Yes, Moto X, Moto X 2nd Gen support USB OTG. You can use USB OTG devices exactly as in Moto G.
Does other phone supports USB OTG? All current Nexus devices, Nexus 4, Nexus 5, Nexus 6, Nexus 9 support USB OTG. Most Samsung Galaxy phones (Galaxy S3, Galaxy S4, Galaxy S5, Galaxy S6, Galaxy Note 2, Galaxy Note 3, Galaxy Note 4…) also support USB OTG. Some LG and HTC phones also support USB OTG. USB OTG adapter usually is not expensive. It should cost you less than $10. You can get it from Amazon or local shops. But you should try to get a quality one. The poor quality connector may damage your USB port. Although Moto G and Moto X only supports USB 2.0, you should get an USB OTG flash drive that supports USB 3.0. This can save you time when you use the drive on PCs or laptops. Most new PCs and laptops support USB 3.0. The quality of USB OTG flash drive is very important. Don’t save money on unknown brands. Nobody wants to lose data! Also, when choosing USB OTG flash drives, do NOT choose the 90 degree design. The two USB interfaces should align with the main body so that you can connect it to Moto G easily even if you are using cases. 1. SanDisk Ultra 64GB USB 3.0 OTG Flash Drive:around $25. If you are on budget, you can get 16GB (around $6) or 32GB (around $15). 2. Corsair Flash Voyager GO 64GB USB3.0 micro USB OTG Flash Drive for Android devices Similar price as SanDisk. Lower capacity (32GB and 16GB) options are also available. Do you have any questions on using Moto G USB OTG? or using USB OTG on other devices? If you have any questions on using Moto G USB OTG, or Moto X USB OTG, please let us know in the comment box below. Does the moto g4 plus support the sentio superbook? Not sure because we didn’t try it yet. You may check with the manufacturer on phone models officially supported. Even for supported models, the setup is not simple. Does moto M support otg? If yes then plz tell me the process to connect a pendrive n a HDD to it. I have tried connecting with otg cable but nothing appears on the es explorer. USB OTG is not officially supported, as I know. Hii, I have Moto g3rd generation . I wanted to use SanDisk ultra dual m3.0 usb on it . But my phone is not able to detect the usb. I am able to use this usb on other phones but not on mine.please help me with this issue if possible. Not detected, or not recognized? There are no specific known issues with USB OTG on Moto G3. But some Moto G3 phones may have a bit lower output current in the USB port. This may affect some accessories. Not sure about the MP3 player. It’s probably too old. If the chip inside the player is not supported, then you cannot do much. Does moto g4 +, supports SanDisk 3.0 128 gb Pendrive? Moto G4+ (and Moto G5 as well_ supports USB OTG. So, it should work. Please note, Motorola does not advertise such features because some USB OTG drive may require more current than the micro USB port can offer. This means nobody can guarantee it should work. We tested Corsair Flash Voyager GO 64GB OTG drive in Moto G4, G4 Plus and G5 Plus. It works on Moto phones without any issues. You did it correctly. If you really cannot find the unmount option, you should power off the phone, then remove it. If the USB drive doesn’t appears at settings – storage, how did you know it’s mounted? In addition, you should get a notification when a storage is mounted. You can unmount it there. I could use pendrives using a otg cable with my moto g 3rd gen.Now I have bought sundisk ultra dual otg flash drive usb 3.0 32gb but it doesnot support at all,my device cannot even detect it.Why is this happening?What should I do?Please help. Some USB 3.0 drive may require slightly higher power. Did you try to use the OTG cable and the normal USB side of the drive? Yes I tried but the result was same. Then it seems the USB drive requires higher current than your phone can offer through USB port. Is there any way to use it with my device? Which mobile devices or models are compatible with my former mentioned flash drive? No Android manufacturers list OTG as a supported feature because of the current requirement issue. For your case, it seems the flash drive requires more current than your Moto device can offer. I don’t think SanDisk list any “supported” devices. Normally, USB 2.0 devices works better for mobile OTG. But no one can guarantee it will work for your device. I once tested it with a 2TB USB 2.0 drive (2.5″, the one for PC and laptop) without issues. For USB 3.0 drive, sometimes it works, sometimes not. If I use desktop backup drive with own power supply, I can even access the 5TB drive. The difference in output current of the same model mobile phone can be relatively large. The drive may work in other Moto G3, but not yours. It’s not an issue of compatibility. Anyway, you need to find out which works for you. USB 2.0 drive may give higher successful rate. Can’t move or copy data to pendrive via otg cable in my Moto g4 plus. But can move data to my mobile via otg. Did you use any file explorer apps? What’s the error message? You can try es file explorer which should request proper permissions when trying to create a folder on the OTG device. I have a moto X 2nd gen (on android 6.0), a vention OTG adapter, a kingston mobile lite G4 usb3 SD card reader and a kingston SDHC card. Why doesn’t it work ? It also depends on the chipset in the usb device (card reader). it is probably not supported. will it charges the phone?? at thesame time?? It depends on the OTG cable. Very likely, not. Are you referring to SD card or USB drive? For SD card, Moto G only “officially” supports up to 32gb. Fire USB drive supports USB OTG, capacity is not an issue. I just finished going thru connecting up a usb drive to my Moto 4+ via a cable, my wife wants to backup her pictures. I found out 2 things. First I found I needed to use File Manager +, on Google Play, to transfer files to & from the usb drive. Second is the usb drive needs to be formatted as Fat32. I had a Lexmar 64gb flash drive that wouldn’t let me see or transfer files. After finding a 32gb flash drive would work I downloaded a program that bypasses the limitation of 32gb for fat32, go to http://www.ridgecrop.demon.co.uk/guiformat.exe.. After formatting the 64gb usb drive to fat32 it worked fine. You still need to eject the drive when you are finished. I am using moto G 3rd gen with marshmallow. It supports USB flash drives but it does not support USB keyboard or mouse. Is anything to do about that? Are you using a USB OTG adapter? Some chips may be not recognised. sir i have moto g turbo edition mobile .When i attached USB (OTG) I want to explore it in my inbuild gallary or video in MX player .Can i do this ? if ,yes how ? It depends on the OS. If it’s lollipop, it’s OK. If it’s Marshmallow, no. I have Moto G (1st Gen) mobile & I want to buy “SanDisk Ultra Dual USB Drive 3.0, 64GB OTG. Does 64 GB OTG supports Moto G 1st Gen? Yes, you can use even 2 TB portable drive. Not sure. It could be due to some software bugs. Recently purchased Moto G4 Plus (on Marshmallow 6). Can mount a usb flash drive and access its files via settings/storage/usb. On ES file explorer, first time use, it seeks permission to enable access to usb drive and after that there are no problems. My issue though is, prior to M6, I could access all my photos (classified in different folders) on the usb via a gallery app or QickPic app as thumbnails. But now under marshmallow these apps cannot access usb otg. Even the native Photos app cannot access usb drive. Is there anyway that I can enable some permission, as in ES file explorer, to access my usb in these gallery apps. I have MOTO G (2nd gen)…. Mico storage capacity is 32gb….. Does it support SanDisk Ultra 64GB USB 3.0 OTG Flash Drive….??? Motorola doesn’t claim the support for OTG. But we don’t have issues with most OTG drive. For the specific flash drive, I used it on Moto G 2nd and 3rd gen without issues. A few owners did report some issues with a few USB 3.0 drives. Es file manager didn’t detect it………. How about settings – storage & USB? I connected one of my flash drive using an otg cable. But it didn’t show. My flash drive is usb 3.0 so I tried it again with a usb 2.0 flash drive and it worked. I am using Moto G Turbo Edition and I need some help. Some OTG devices may not work with your Moto G, if they require higher current than the phone USB port can offer, or the chip used is not recognized. For your case, probably the USB 3.0 device requires higher current than that Moto G can offer. No Android vendors claim the support for OTG although it works on most Android devices. The reason is that it also depends on the OTG devices. And the current offered in phone’s USB port may be not sufficient for some devcies. So, if you ask technical support, they will simply tell you they don’t offer such support (as they never advertise this feature). Anyway, it depends on the OTG devices. Did you try other OTG devices? How about Settings–Storage? Does the OTG device show up there? Yes, you can use USB OTG Ethernet adapter in all generations of Moto G including Moto G, Moto G 2nd gen, and Moto G 2015. With the OTG I can avoid the velocity issue that the micro sd have? Because if I expand the storange with a micro sd I need certain requeriments like the read and writing velocity. Also that the biggest micro sd that I can use in the Moto G3 is the 32gb and it need to be sdxc. So if I buy an OTG cable and any USB of 128gb I don’t have to worry about those things? OTG storage cannot be used for app data. It can only be used for your files. You can only use micro SD card to expand phone storage. This requires Marshmallow update. Should my Motorola g turbo support 32 GB otg pendrive? It depends on the pen drive. No smartphone manufacturers claim the OTG support although it should work in most Android phones. The reason is that different OTG devices may require substantially current (to be drawn from the USB port). Moto G turbo should work with most OTG Pen drives. Can I mount 1TB(Western Digital Elalemts) External Harddisk to Moto X Play? Technically yes. But it depends on file system on the drive. There are no user settings for OTG devices. Did you try to reboot the phone with OTG device connected? Is there a setting (moto x g2) to force the data, downloaded with an app, to go directly to the USB? IE Audubon birds comes with 500 MB of bird data. No, the location is specified by the app. If the app doesn’t have the option, then you cannot change the default location. I want to update my phone to 6.0.1 .Is it possible to download the update via Ethernet adapter using otg. Yes, you can, as long as the phone is connected to internet. You can check whether update is available through settings account phone -system update. When it starts to download the update. it shows waiting for WiFi or cellular data connection to download. I cannot test it now as there are no updates for my Moto G. It seems I can check. You can turn on WiFi even you don’t have a WiFi router, then try again. Another way to download update is through Motorola device manager from your PC. Please follow this guide to install software in your PC, reboot the PC, connect the phone to the PC, then Start Motorola device manager. Did you check settings – storage? If not detected, you have no option but to return it if possible. But I have no issues with SanDisk one. I’ve been using FX Explorer for my otg on moto g2 before the 6.0 update after which it stopped detecting. Since then I’m not able to find an app to toggle the write access on my pen drive which is required during some errors. Any suggestions on better apps since ES Explorer is what I use and it doesn’t have that option or am I missing something? Well my otg cable is kinda loose-fitting so sometimes it disconnects during transfering media. And not always but very rarely does the pen drive restricts any transfer but allows you to delete the files on the pen drive (could be wrong about the deleting) and you can definitely read it. FX Explorer had the option Enable/Disable write access after which my pen drive used to work perfectly but I’m not able to find the right app with this feature. Not sure. Most USB OTG devices are mounted as writable and it is not necessary to set permissions. I just use ES file explorer and I never have permission issues with USB OTG drive. 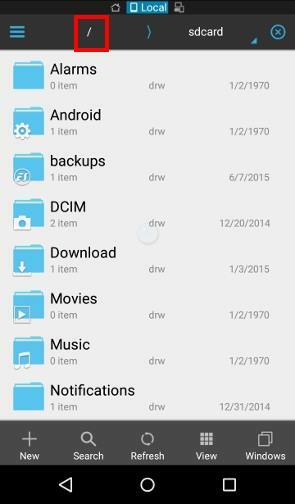 You can create a folder in the drive specially for the phone. You can also backup the data to PC then format it on the phone. This will eliminate any permission issues. Yay!!!! I’m so excited. These directions, with a little reading in between the lines, has allowed me to free up a ton of space on my phone AND keep all my files. I’m so very happy. Thank you, thank you!!! Dear i tried a lot but can’t connect my moto x play with pendrive or any kind of dongle ,now please can anyone tellme the procedure to fix the problem. There are no easy solutions. It depends on the OTG device (the brand, the chipset inside…) you are trying to connect. I have a Moto X first generation bought in 2014. It has 3G. And I wish to use it for generating the Digital Life Certificate for pension. I have downloaded the application JeevanPramaan for this. Now I have to connect a fingerprint scanner (MFS100 from Mantra). have got it and when connected using USB OTG adapter, it is recognised by the app. But during the process, the scan is to be done, and for this the light in the scanner should be on. However, this does not happen. So scanning of fingerprint is not done. Could you explain why and what should be done to solve the issue. I think that the scanner is not getting the power needed through the USB OTG. If so, what is the solution? It is possible that the scanner requires more power/current than the port can offer. You need check with the seller whether they tested it on Moto X. Normally, you should only use low power accessories for mobile OTG. This is the reason why most vendors never claim this feature. For smartphone, it usually offers lower current for OTG devices than PC or laptop due to the battery size limitation. I cant connect pendrive to my moto g xt1033. It is so problematic n motorola is not providing any support. If motorola cant help in this i will be disappointed coz i like motorola a lot. Everything is fine but with moto but please give idea about connecting pendrive to moto g xt1033. Does it work on other phones? Did you try other OTG devices? 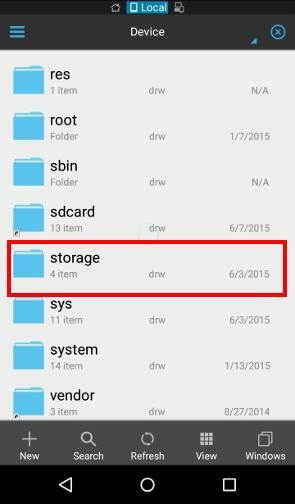 What’s shown in settings – storage after insert the pen drive to the phones? The gallery and music get file info from media scanner service which doesn’t scan USB storage. Some media players, for example, vlc for android, allow you to specify folders. Can you open files on the OTG device? not sure. can you use other OTG devices? can you use this pen drive on other mobile phones? Does moto g support 64gb 3.0 otg flash drive ? It depends. USB OTG support is never formally announced due to varieties of such devices. Normally, the capacity is not an issue. USB 3.0 is only for PC. USB OTG uses micro USB connector. But some new OTG drives may require higher current to function. This may cause some problems on Moto G 2015. Friends in moto g3 after update it to marshmallows OTG problem is solve.It works in updated moto g3. After upgrade to 6.0 my moto g3 doesn’t read the san disk dual otg pendrive someone suggested me to check in USB&storage option in settings but it still doesn’t show. I chose my external SD card as portable device while 6.0 upgrade so it that causing the issue? No, USB OTG and SD card settings are totally independent. They should not affect each other. For the USB OTG problem, you can try to clear cache partition. Of course, if clearing cache partition doesn’t solve the issue, you may backup the phone and try a factory data reset. Not sure. But there is no size limit. I can use the old 1TB Samsung M2. I have moto g3.There is a lots of problem after update it to marshmallow. Otg is not showing in es file explorer,shutter sound problem.can anybody help me to resolve these problems..
Not sure about the USB OTG issue. For camera shutter sound after Marshmallow update on Moto G, it’s a known problem of missing camera sound option on camera app. The workaround is to mute the ringer. Ethernet adapter via otg is not working after the update is there any settings that I want to make for it..
No settings for USB OTG. It is enabled in the firmware. Some chips in Ethernet adapter are not supported by Android (no drivers for them). But if it works before the update, it should still work. Only mouse is working via otg cable but not pen drive and Ethernet adapter really plzz help. Not sure. Did you try es file explorer when using thumbdrive? Can U explain me how to get back to lollipop.how to install it by the moto toolbox. There are no official ways to roll back in Android. You can ask the technician in service center to flash lollipop ROM for you as your Moto G should be still under warranty. Don’t try to flash the phone by yourself unless you fully understand what you are doing. Flashing the wrong firmware may make the phone useless and void warranty. Is there any update coming fr solving this bugs. Not sure. So far, we didn’t have issues with USB OTG on the Marshmallow update for Moto G.
Yes, some Moto G 2015 owners reported the similar issue. But it’s not a known problem yet. Is there any way to move apps frm phone memory to SD card. Please note you cannot move apps to USB OTG devices. After you get android Marshmallow update for Moto G, you can set SD card as internal storage. Then you can use SD card as internal storage. Lollipop doesn’t support this yet. Otg is working now.I just reset my phone. Ethernet adapter is also working. Yadhu, do you use the Plugable Ethernet OTG ethernet adapter? Mine is not working at all (Moto G 2nd Gen). Did you have to do anything to initialize it? Any app? Thanks for your guidance. Got this phone specifically to use the adapter! 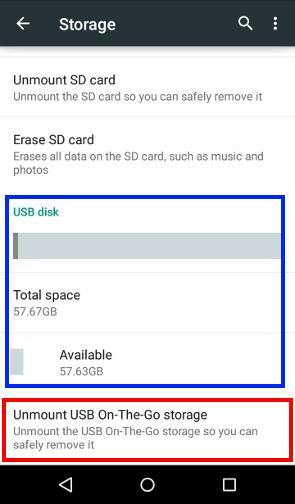 Sir I just updated my motog3 new Android but now my otg pendrive not showing on storage??? reboot the phone. You may also install es file explorer to see whether it helps. I have moto g3 and i am trying to use sandisk ultra 16 GB USB 3.0 otg pendrive with my phone but it is not working in my device, but working in another Moto G3 device. In the storage location, USB storage field is blinking when USB is plugged in. It usually means the connection (e.g., connector is dirty) is not good or insufficient current. You can try it again when battery level is close to full. Unlikely. Did you try to reboot the phone or try another OTG device? Hi, recently i purchased SANDISK ultra 64gb, I tried to connect to my moto g2, but nothing was displayed n the storage menu. May i know what could be the reason. it is in FAT32 format. 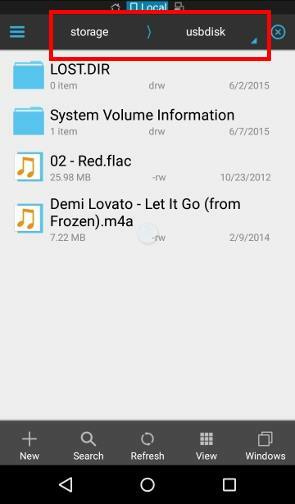 Can you create a folder on Pen drive when it is connected to the phone? It sounds like your the Pen drive was setup with access permissions on some other systems. You probably have to check and modify permissions on that system. Hiw to correct help me……. What error did you get when you try to write to the pen drive? It sounds like some permission errors. If you have a Linux machine, you can create a folder in the drive and set the permission as 0777 to test. You show the screenshots of the Lollipop OS, but this upgrade does not allow use of OTG storage on Moto G. Out of the box for first generation allowed use of the OTG storage. After system upgrades, this is greyed out. Did you only upgrade the screenshots here and not your information, or have I missed something? Please tell me, as I would really like this feature restored. The OTG support was NOT removed in lollipop update for Moto G as I know. I have no issues in using OTG on Moto G devices with lollipop. M using Moto G 2nd generation from last 1 year but its not supporting OTG cable … is it bcoz of Lolipop update n if not then how can i make the OTG with pendrive work ?? Please help in figuring out this problem …!!! Try another OTG cable/OTG devices. Moto G 2nd Gen surely supports USB OTG. you can try it with an OTG cable. It depends on the USB drive. Normally, the old USB 2.0 drive works better. Some new usb 3.0 drive may require a bit more current. Does moto g3 requires root to support Ethernet adapter. No, but it depends on the chipset in the adapter. Most sellers list the supported devices. Can u prefer me which Ethernet adapter should I buy for moto g3. Got a Sandisk Dual Drive 64, but can’t make it work with my Moto 3g. The OTG works well with another regular 64Gb drive with a cable, so this proves the OTG works. I tried various formatting (extFAT, FAT32, FAT), but no success…. Not sure what to do anymore. Any hint? So… If that’s the case, it’s a hardware issue that might not be resolved by a software update? I just logged the issue with Sandisk on line help desk… Will let you know their answer. This is one of the reasons why most vendors never advertise OTG feature. Most of them don’t offer sufficient current per USB OTG standards. But this usually is not issue for old OTG devices. anyway, please share the comments from SanDisk. Got feedback from Sandisk… They basically issued an RMA (Return Material Authorization) to replace it… Obviously they believe it’s a faulty product, which I’m not convinced. Thank you for sharing the update from SanDisk on the OTG issue. Did you test the OTG drive on other phones (e.g., most Samsung phonesc support OTG)? Did you have other devices to test the OTG drive? If you have a OTG cable, can you test other USB drive through the OTG cable? I have HP 16gb flash drive. But it does not work with my moto g3. Why??? If it a OTG flash drive? Does it work on other devices? How did you format it? What file system is it using now? can i connect internet dongle via otg? Yes, your can use OTG Micro B Ethernet adapter on Moto G.
I use ES Explorer app and think it’s great. I have a MOTO X 2013 running 5.0+ operating version. Running out of space so I purchased OTG Sandisk USB drive especially for camera pics and videos. I can’t figure out how to set the camera app to default to the USB drive when connected. To record or store pics directly. No, camera app will never save photos to OTG drive. You can only move media files to OTG drives. My Moto 3rd gen Not Support OTG Cble while i instaled es Explore.So please give me any clue thats why i resolved this problem. Is any phone setting may be off ??? There are no settings to enable or disable OTG support. Did you try other OTG devices? How to connect a ODG device and charging the Moto G phone at the same time? It’s actually very complicated if you want to use OTG devices and charge the phone at the same time. When your phones is in host mode, by default, it has to turn off charging. But the new USB charging standards do allow charging while in host mode. This requires some modifications in hardware and software. Technically, so, it’s possible. But I don’t think Android support this. Maybe I am wrong. Can i connect usb headset in my moto g xt1033 will it work ?? It depends on the headset. In developer options, you can enable and disable USB audio. Anyway, it’s still better to use normal 3.5mm headset or Bluetooth headset. They are more reliable. i bought moto g3 a week back,i tried of using usb OTG but unforutanely tz nt working in my mobile, but tz working in my brothers mobile , is there any setting should i change or ny issue s in my mobile plz do help me to fix tis issue..
No settings for USB OTG in Android. Are you using a USB OTG drive directly , or through a OTG cable. Does it happen to a specific OTG device or all usb OTG devices? If the Android vendor includes the drivers in the firmware (Motorola does), you can use it. Most OTG devices should be supported. I have tried and failed to download files onto my Garmin dakota20 GPS using my motorolag and an otg … I am guessing it’s because it is not capable. not sure. If you connect the dakota20 to PC, can the PC recognize it and access data on it? USB OTG should not depend on battery level. But some OTG devices may require certain amount of currents. Anyway, you can try to reboot the phone, then try the OTG devices again. so what i have to do now ? A few owners reported similar issues with certain OTG storage devcies. But they may be able to use other OTG storage devices on the same phone. The reason is still unknown. After you plug in the drive, in Settings–storage, does it show as mounted, then unmounted immediately? Did you try to check it in ES File Explorer? I am planning to buy Sandisk 32GB USB 3.0 dual otg pendrive. Will it work with Moto G XT1033 ? It is USB 3.0 so I am wandering will it be recognized by phone or not? USB 3.0 is the bigger/normal USB connector when you connect it to the pc. It’s always USB 2.0 when using it as OTG (using smaller micro USB connector when connected to your Moto G). BTW, USB 3.0 is backwards compatible with USB 2.0. If your pc doesn’t have a USB 3.0 port, you can use it for the USB 2.0 port. is it an USB OTG flash drive? or through an OTG adapter? What’s the phone model? Yes, it should support it. If your computer or laptop has USB 3.0 ports, it’s better to get the USB 3.0 version. It makes no difference to Moto G, but you can get faster transfer when using it on pc. Does the phone reboot after you unmount the OTG or after you disconnect the OTG devices? You may try to close all recent apps before unmounting. is this is because of corrupted hardware of phone or usb. Tensed because i was forced to buy this phone because of random restarting problem on my last moto E .please comment 15 more days remaining for replacement. It’s not normal. But the problem can be caused by apps installed by you or some settings. You can test it after a factory data reset without installing any of your apps. You need backup the phone before factory reset. Not sure about your privileged. For USB OTG, Moto G has no limitation for the capacity. This is how usb OTG works. I can attach my old 1TB Samsung M2. For micro SD card, yes, the vendor can impose size limitation. Moto G only supports up to 32GB. Thanks for your reply Simon. I think perhaps the older Moto G phones do not support more than 32Gb – I purchased mine June 2014. The only way I can get it to use the 64Gb drive is by installing Total Commander and the Total Commander usb plug in. It will then recognise and read/write to it but it’s not very user friendly and photos etc. Have to be downloaded individually. Perhaps you have a newer version of Moto G with an updated OTG facility? Not sure. But if you partition the 64gb drive into 2 32gb partitions, can it be recognized? I have bought sandisk ultra dual otg USB drive 3.0 32 gb capacity.its not supporting my motog xt1033 1st generation mobile..my internal memory is 16 GB.some body telling that motog 1st generation will support upto 16 GB..is it true? ?please help..reply me..thanks in advance..
No, there is no limit on the capacity of an USB OTG storage. You can even attach a 2TB portable drive with an OTG cable. It should be recognized.Did you check Settings-storage? It’s probably due to system in the USB drive? is it fat32? Thanks for a separate guide for OTG which I was expecting for. I have a query regarding the OTG. Please let me know whether you too have faced the same problem. If I Unmount the OTG (Sandisk ultra dual 16GB) from mobile, it disables the application stored in SD card. It works only if I power off and power on the mobile or unmount and mount the SD card. SD card apps works fine untill the OTG is connected in mobile. The problem is only after unmounting the OTG. I think while unmounting the OTG, the mobile is unmounting SD card as well. Not sure about it. No, I never encounter this. I tested it again on Moto G 2nd Gen and Samsung Galaxy Note 4. There are no such issues. I have same problem for moto g3 files copied from usbdrive to device but not from device to usbdrive shows massage ” not enough permission ” help me? 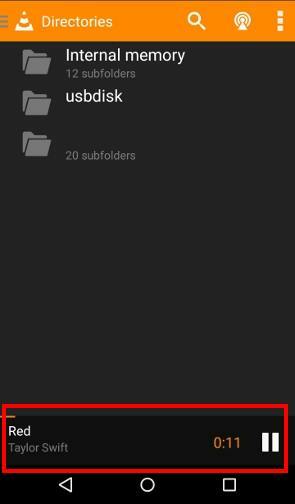 You can create a folder in the device, then copy files to it. Download folder is usually writable. You cannot write to some folders created by other apps.